Customized Cleaning Service Blog for great cleaning tips! We offer the most thorough House Cleaning Service in the Industry! 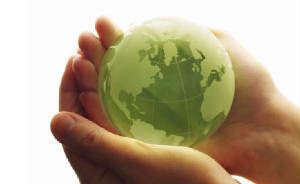 We offer the finest Green friendly products to Clean your Home! State of the Industry Vacuums with Hepa-filters to remove 99% of Pollutants! For a healthy green clean home! Welcome to Customized Cleaning Services! Dependability - Your house cleaning team of maids will be at your home on your scheduled cleaning day! Your same team of house cleaning maids cleans your home each visit! All house cleaning supplies and equipment are provided by Customized Cleaning Service. We clean your home with Ecolab professional "green" cleaning chemicals to offer your family the finest and healthiest house cleaning experience possible. Customized Cleaning Service employees are bonded and insured. Customized Cleaning Service is a member with an A+ rating with the Better Business Bureau of Columbus, Ohio.